It’s every bride’s dream to walk down the aisle in the fairy tale dress that captivates her guests and leaves her feeling like a princess. Afterwards, you want your wedding photographs to remind you of one of the most blissful moments of your life, and the fact is, your reaction to your wedding dress will show in your smile. 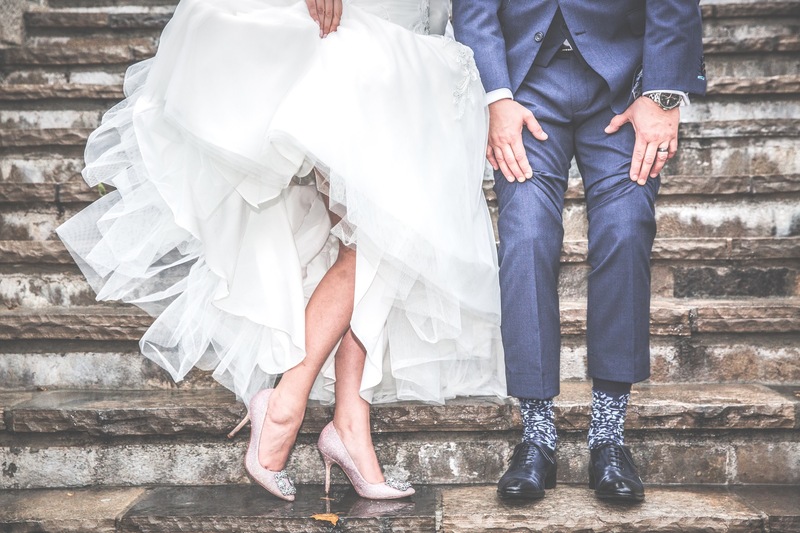 Princesses deserve exactly what they want and there are more than a few reasons why buying a custom-made wedding dress will ensure it’s not just a dream! As long as you’re using a quality company, shopping for a custom dress design online can be far more intuitive, more affordable and so much more practical than buying one from a wedding boutique. With modern multimedia, you’ll get what you pay for without all the traditional fussing and fretting involved. That’s the gist of the answer. Buying a custom dress online is the superior option, but it’s about much more than convenience. What are some of the reasons you’ll be thanking yourself for making that decision? Let’s take a look at what ,makes online gown-shopping the smart option. The most awesome advantage of buying a custom wedding dress online is that you’re able to recreate masterpieces suited the most breathtaking weddings, but at a fraction of the price. Nowadays you can replicate designer dress details like sequins arrangements and fabric adornments within a 98% berth of accuracy. Details like necklines and trains, meanwhile, are also incredibly close to the designer article. Tailoring your dress is a far better option than buying a standard sized designer item. And if you’re more ambitious than that about originality, you may want to completely innovate on an original concept or start one from scratch with one or two designer influences. Online shops will send you a series of pictures and ideas until you’re absolutely content and ready to give the go-ahead. Altering an expensive designer dress that runs into thousands – besides being costly – is a stressful undertaking. Suffice it to say, you’ll be able to get an exact fit and for a song. The overall process is clean-cut and simple. Essentially, it involves sending through a list of your measurements, a choosing from some swatches of fabric for the primary material, and perhaps sending some pictures of wedding dresses that you really love, et voilà! Searching on sites like Pinterest for your perfect dress is also much less burdensome than a round-trip of the city. Alternatively, your online dressmaker can send you a selection of dress ideas from their past designs. Just like in a traditional boutique, you’re able to explore what you like through the wedding experiences of others. Ask the company for their portfolio if you’re still not sure. There’s nothing like a spot of window shopping to help you dream up marvelous, exuberant things. Quality dressmakers who sell custom wedding dresses online have their work cut out for them. They need to ensure that they achieve a 100% satisfaction rate upon delivery in an environment where news channels love to play up negative online experiences. That’s not to mention the snobbish attitudes that some offline shops use to convince clients to buy dresses well out of their price-range. Remember, wedding boutiques are there to sell expensive dresses; Online shops have to make what they’re told. The internet has made it possible to customize even the finest details on gowns. In any shop, whether online or offline, the only requirement is that you send through a swatch of your main dress material with your measurements. They’ll take it from there. Still timid to give it a try? Spend some time considering it. The internet has caught up with the needs of the most meticulous brides, and though many associate buying that special masterpiece with multiple visits to the boutique, it’s already an outdated mode of shopping for a custom dress. Traditions have changed because of the simplicity of modern options. These outweigh the novelty (and costliness) of visiting a physical gown shop, while also reducing our stress levels. We’re living in an age where seeing the progress of your dress can be done from the comfort of your living room, ensuring that the result is just as perfect as anything you could spend days of your time on working out. Some advice we’ll leave you with before you make that all-important decision: Find a dressmaker with a trusted reputation. Beyond that, you can quickly glean whether they cater to your exact needs. Because of the popularity of online boutiques, they’re able to showcase their work and give you a really adequate idea of their custom designs.